Operating since 1878, the Strasbourg tramline has been recently extended by a cross-border segment connecting Strasbourg to Kehl. 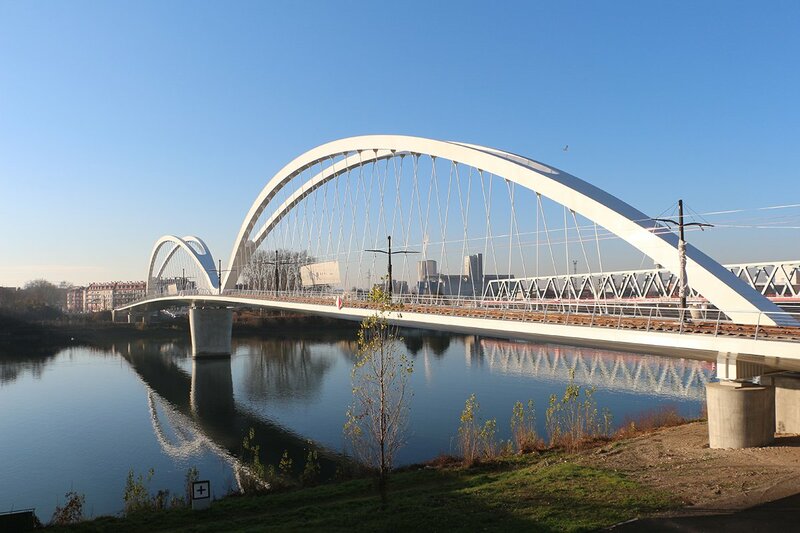 A wide-span, double-deck bridge over the Rhine River connecting France to Germany is an integral and eye-catching part of this "Est de la Ligne D du Tramway" extension, including tram tracks and a zone for cyclists and pedestrians. The bridge has a tram zone on one side of the arch and a zone for cyclists and pedestrians on the other side. The whole bridge is 290 m long. It consists of 2 bowstring bridges measuring 145 m each, the steel deck is 15 m wide and weighs 1,450 tons. The arches are 21 m high. The deck was transported to the site by a ship. The two bridges were built up on-site, one after the other, and transported by pontoons to their final place. 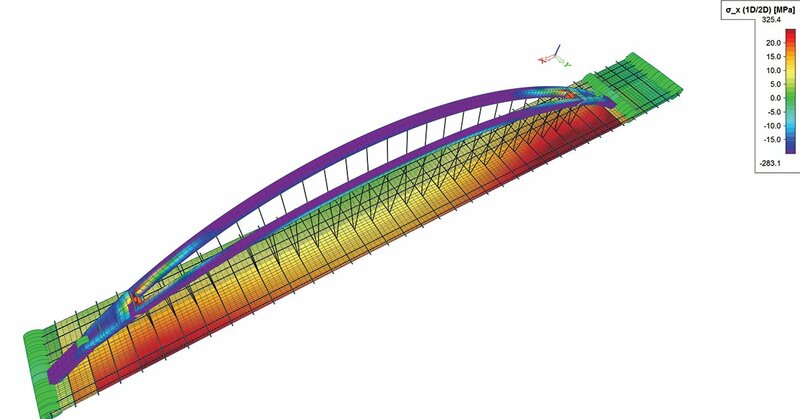 dynamic response of the bridge to the traffic and wind. 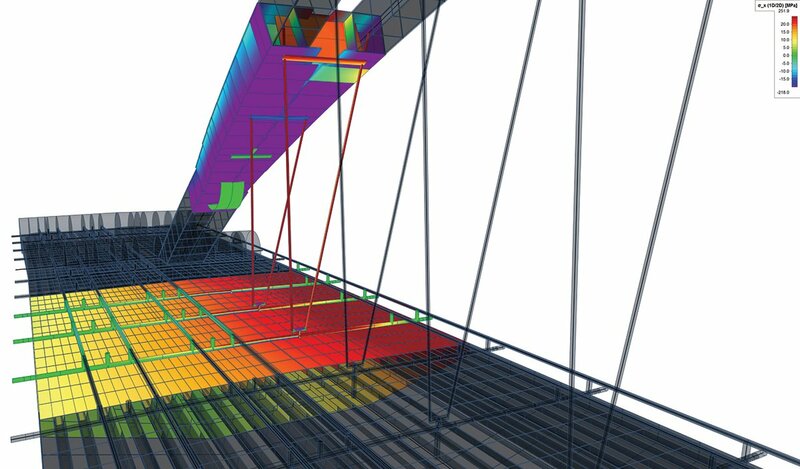 The possibility to input and use graphical sections was a big advantage for assessing the influence of the deck on the global response of the structure. 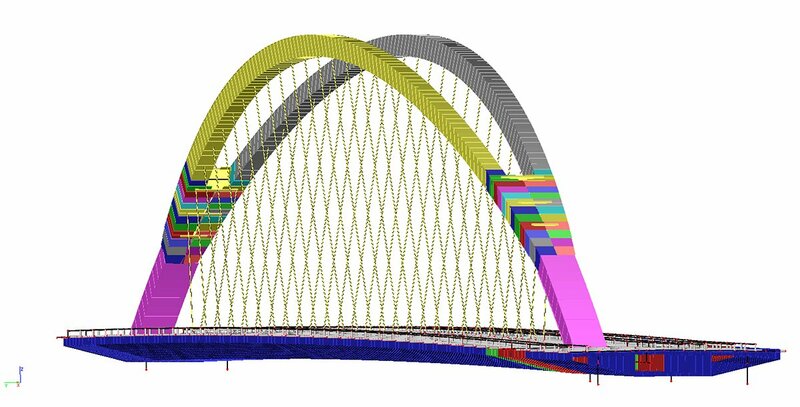 Stability analysis and the determined buckling shapes were used as an input for the second order analysis of the arches. 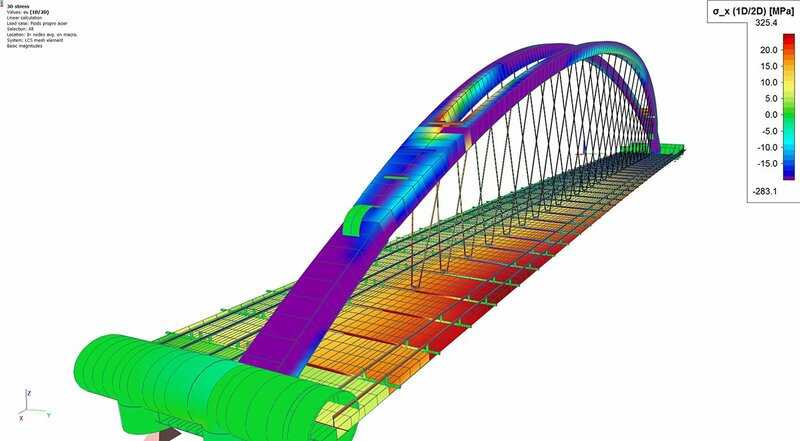 The dynamic analysis helped determine the response of the whole bridge in service conditions, namely the response to the effect of loads due to traffic and wind. 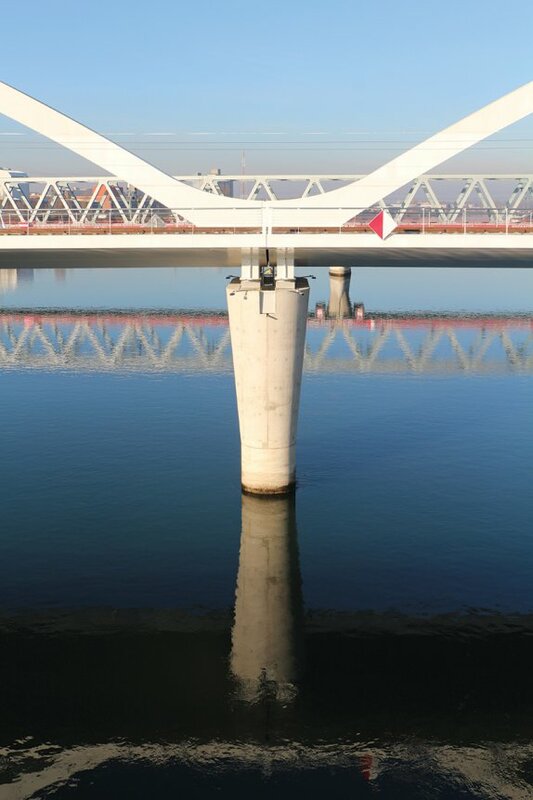 SCIA Engineer was used for the dimensioning of the complete bridge in traffic situation as well as for the erection engineering during the construction. 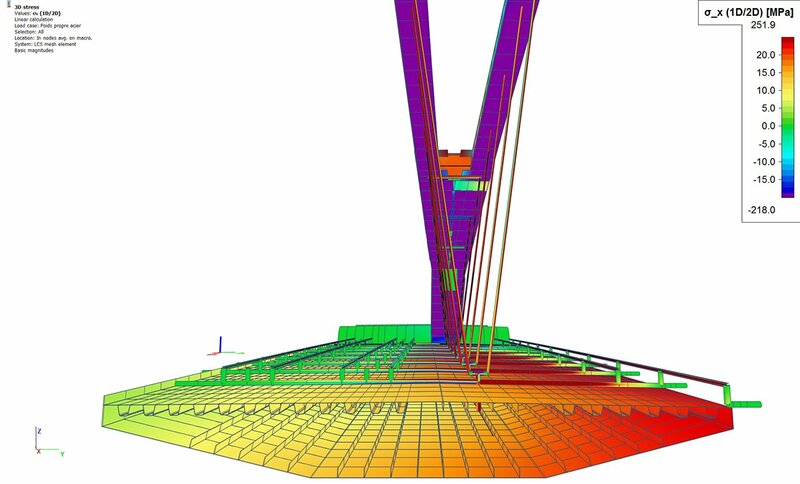 Ingenieursbureau Stendess' Bridge over the Rhine River project, is the winner of the SCIA User Contest 2017 – Category 2, Civil Structures.